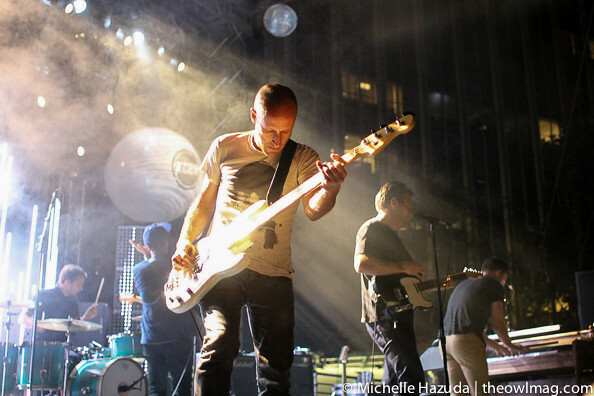 The Cold War Kids are having a moment. 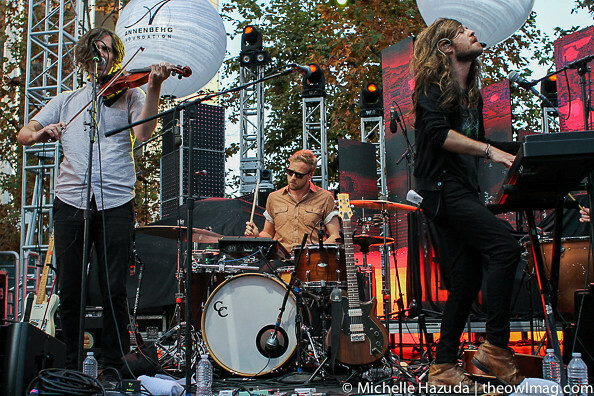 Ten years and five albums into their career, their latest single, “First” is their highest charting song yet. 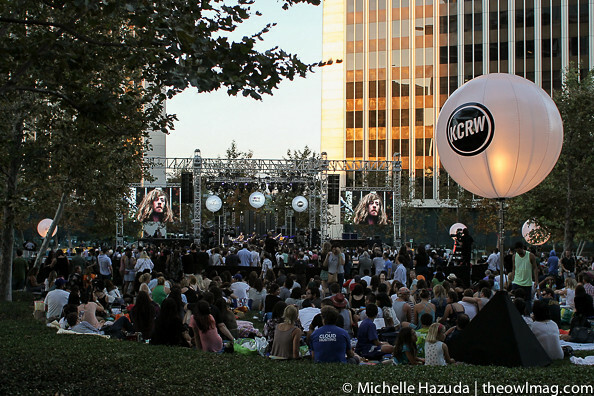 They were the perfect choice to finish up KCRW’s Sound in Focus, a free outdoor concert series located on the lawn of the Annenberg Space for Photography in Century City, CA. 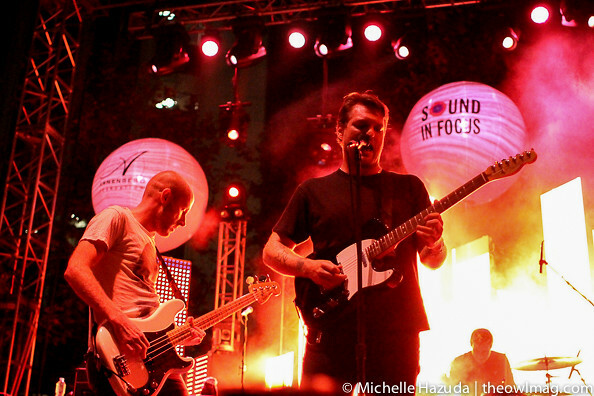 The crowd was amped when Cold War Kids hit the stage, cheering as soon as the opening chords of “Miracle Mile” were struck. 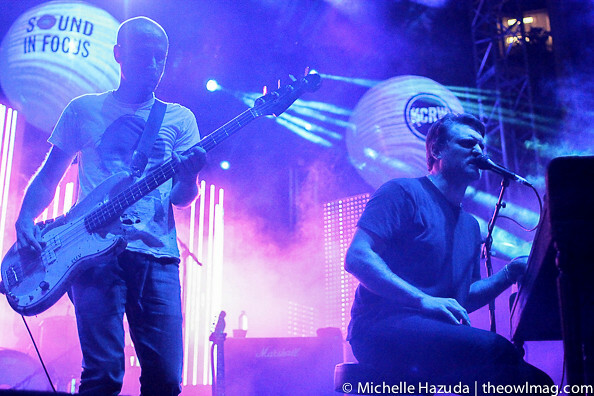 The Cold War Kids have a gift, in that live, they look like they could fall apart at any moment, but sound supertight. Onstage, members shuffle all over the place, sometimes bumping into each other, but they make it look easy. One of their first hits, “Hang me Up to Dry,” proved its staying power, with the audience singing its outro. “It’s a beautiful night” remarked Willet from the stage, and he was right, as the lawn situated between three skyscrapers became a glass-and-steel valley that the Kids filled with glorious energy. “Harold Bloom” was haunting, its sparse organ arrangement hovering in the night sky. The Kids were joined by a string section and backup singers for the last third of their set, additions that made their songs sound more huge than usual. 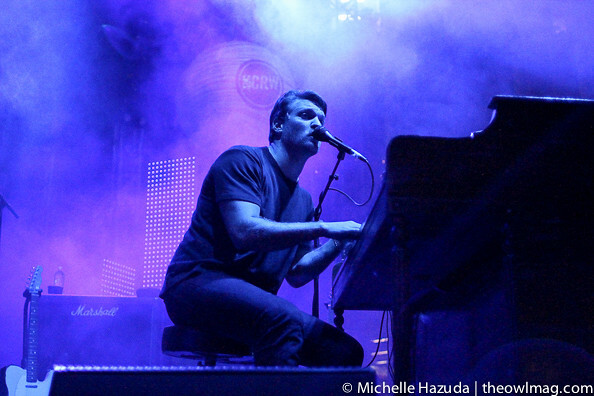 During “Tuxedos” and “First,” all those sonic elements came together, making the entire run a highlight. 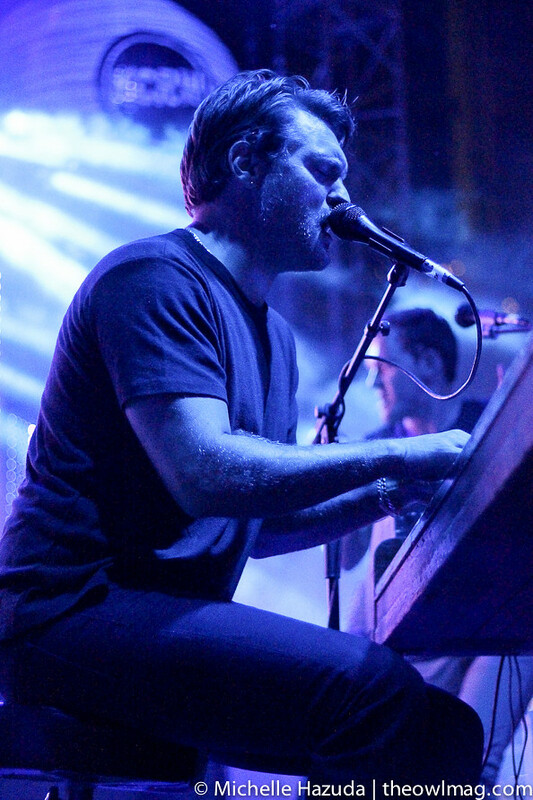 Willet’s voice didn’t quite hit the high notes of closer “Something is Not Right With Me,” but it didn’t matter, the audience was fully on board and wanted more. After encoring with John Lennon’s “Well Well Well,” they ended with “Saint John,” the strings and vocals adding new dimensions to a beloved old favorite. 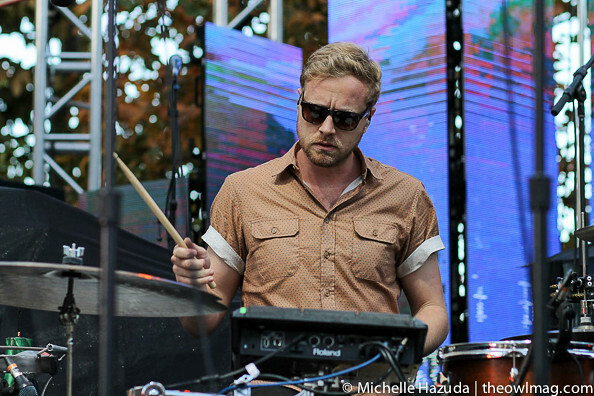 Prior to the bands, KCRW’s music director Jason Bentley spun tunes in the afternoon sun. The makeshift venue also featured food trucks and beer gardens, which along with the Photography Space, provided an afternoon of entertainment. 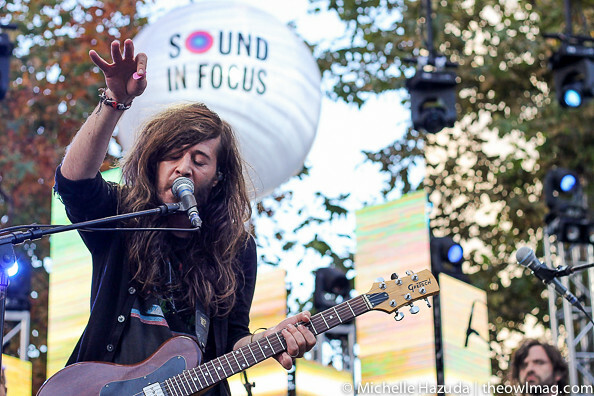 We loved this year’s Sound in Focus series, and look forward to its return next year. 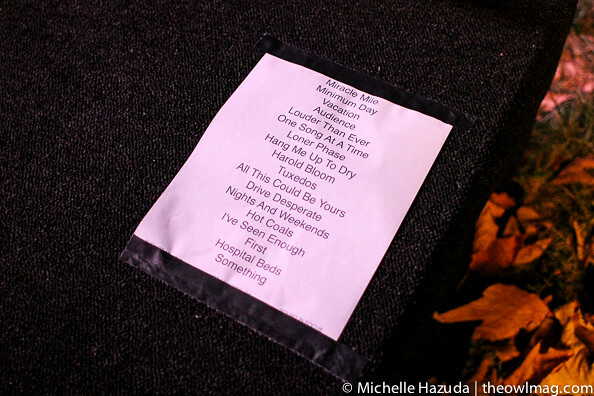 Check out the rest of Michelle Hazuda’s photos here.